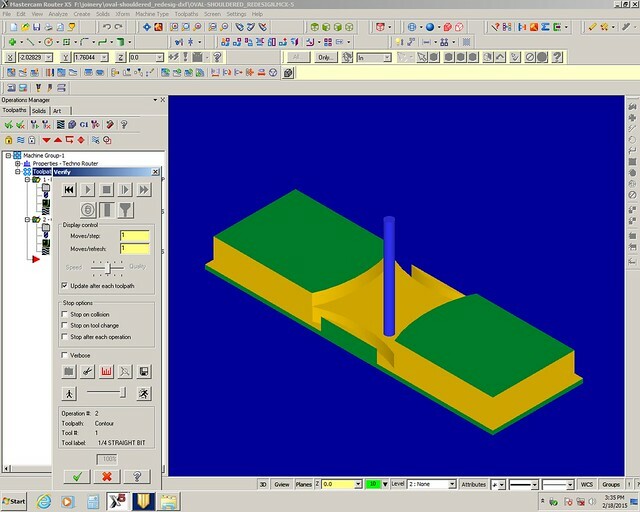 You will be recreating one of the CNC’d joints from the chart below. 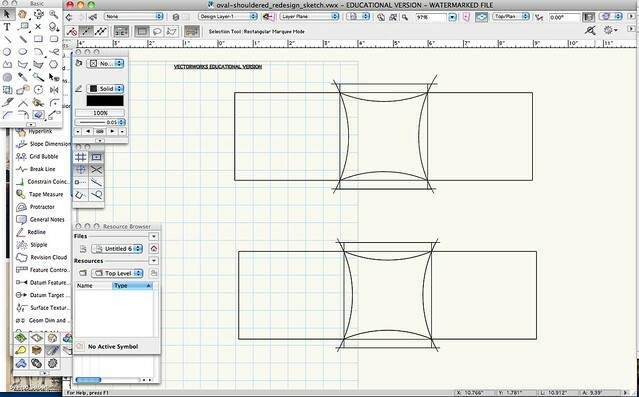 Choose your joint and draw them up in VectorWorks. 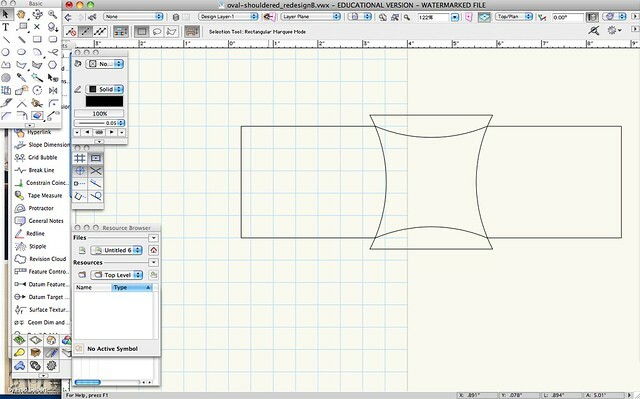 In this example, I will be making oval-shouldered halving joints. I initially drew up two versions, one with a tight tolerance and one with a little bit more wiggle room. I made the pocket shape 0.01″ wider. I used the 2D Polygon Tool (paint bucket setting) to fill in the shapes I wanted and put each version in a separate file and exported as DXFs. 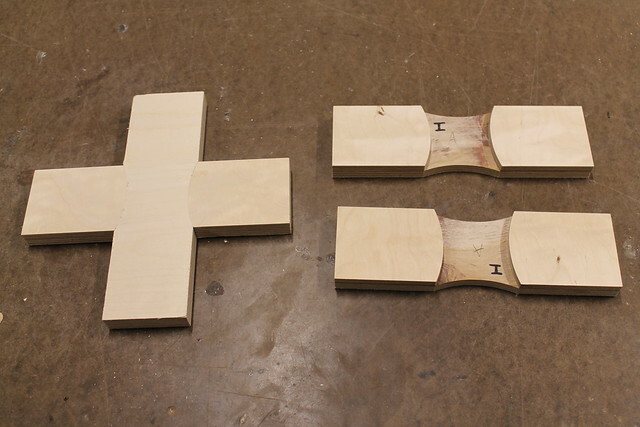 Note: Take in to consideration rounded interior corners when creating your joints. That’s why the inner shape extends past the longer shape. These are 2.5D parts, only contours and pockets will be necessary. The inner shape is a pocket that goes down half the material thickness. The outer shape is a contour. 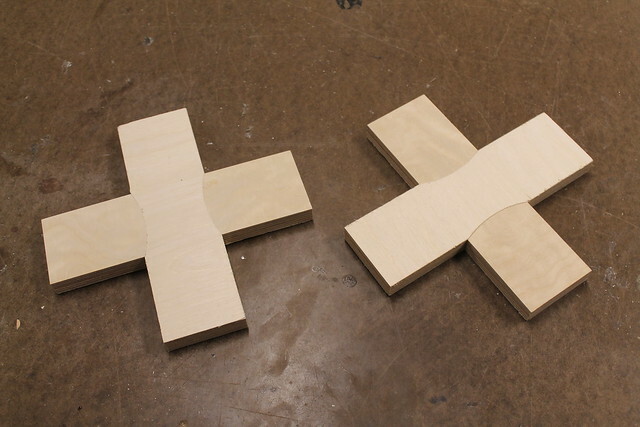 I cut two of each file, this joint is made up of two identical pieces. Remember, one set has a tight tolerance, one is a bit looser. Mark each piece with a pencil so you can identify which is which. It turns out the joint with the looser tolerance was too loose for my tastes. The only way to know what the proper amount of tolerance needed is to make samples and test them. Please document your process and finished work on your blogs.